My husband and I have been to Scotland three times. We're coming back in 2017, July 22-August 8. Our trip will end with a night at the Tattoo in Edinburgh. Our previous time has been spent mostly in the Stirling/Skye area. We'll still visit those as Stirling is a great "home base", and there's still more to see on Skye. I'm particularly interested in checking out the Highlands north of where we cross to Skye. We've been to Culloden and part of Inverness. I know there have to be things to see/do in the Northwest. We'll also take suggestions for the Borders and the eastern part of the country. One thing I'm very interested is places that have live music. I'm not talking about the larger venues, but rather towns where locals congregate in a pub and enjoy playing traditional music. I know that's a lot, but any tips will be most welcome!!! My recommendation for you is the NC 500 route, a circle covering Inverness - John o groats - Durness - Ullapool - Applecross - Strathcarron - Inverness. 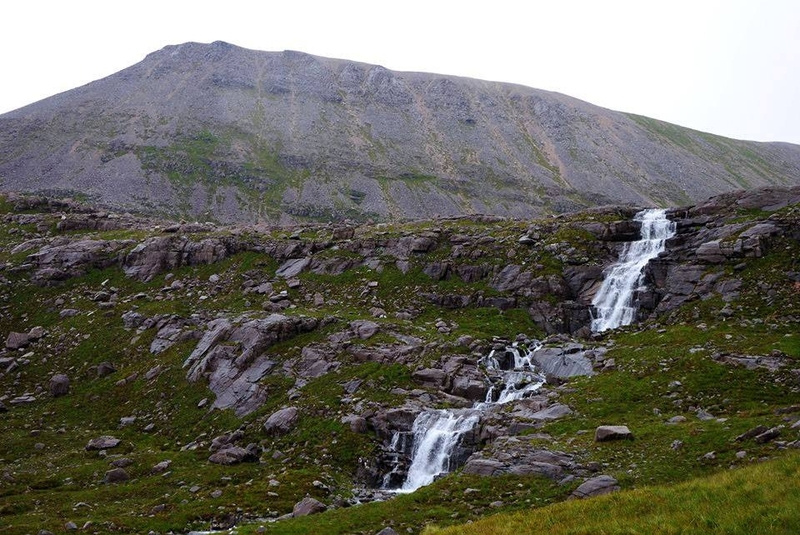 Its one of the most beautiful parts of Scotland (scenery near Torridon below) and you'll not return disappointed. The music question is a hard one to answer as it depends on the schedule of the local pubs but that route is home to Britain's remotest pubs so any experience will be one of a kind! My other suggestion would have been to attend the HebCelt festival in Stornoway and then spend some time seeing the Outer Hebrides. Unfortuntely, HebCelt ends on 22nd July, the date you're planning to arrive in Scotland. The Outer Hebrides are stunning as well! This is is based on the east coast city of Aberdeen, which you could easily spend a day touring in, its home to some beautiful granite architecture and gives easy access into 'Royal Deeside' and also Speyside which for whisky lovers is a well known area! Which could then lead you nicely into Inverness and the rest of the NC500. These music 'sessions' are clap along type events, if you'd like to do some traditional type dancing then you're looking for ceilidh (pronounced cay-lee). These are often held in village or town halls and advertised very locally, often on a village Facebook page. Once you've decided on an itinerary you may be able to then find a dance one night (fridays and saturdays are most likely). Whilst these are local events they're always very friendly and you will dance :-) Don't worry about not knowing the 'moves' they are repetitive dances like line dancing, so easy to pick up. And getting lost and doing it wrong is part of the fun! Some Highland games have evening dances too. Often now they are 'disco' style rather than Scottish country dancing. We're definitely going to revisit Skye a bit, so hitting the NC500, or at least part of it, shouldn't be difficult. A "clap along" session in a pub is just what we're looking for. Oh, and I "misspoke"...2017 will be our FOURTH trip to Scotland! We love the country and the people. Any live music sessions or ceilidh in Inverness in late April or other "can't miss" activities? 2nd visit to Inverness...can't wait! Hi @MaicaKid try Pitlochry for live music, every Friday & Saturday the pubs have live music and sometimes the open mic sessions. If not then travel further north to the Cairngorm National Park. Aviemore for example has lots of local pubs with great atmosphere & live music.